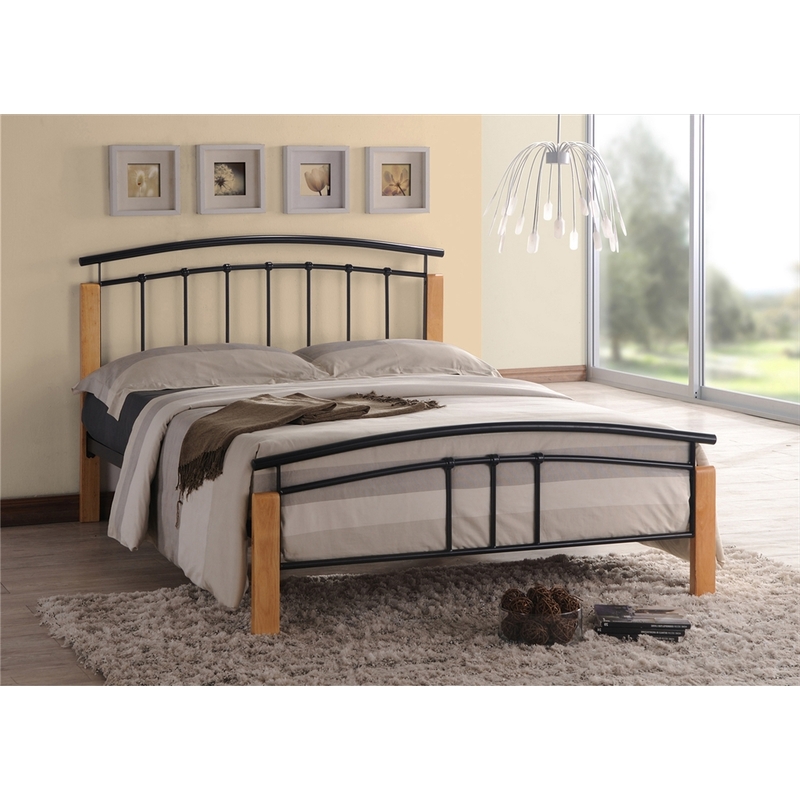 The bed frame design combines sliver metalwork with classically stylish wooden posts. 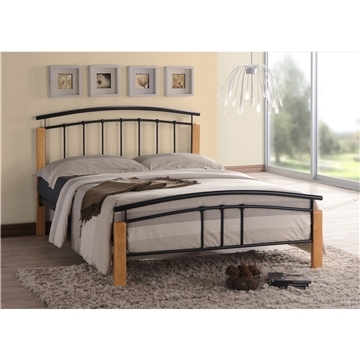 The frame has a sprung slatted base for added comfort and to help maintain mattress condition. It is also available in Silver and in Single, Double and King Sizes.